Michael Faraday creates tiny earthquakes to watch the shaking. Spread sand on a metal sheet. Strike the edge with a violin bow and make that metal sing like catgut. See how particles jump and fall. Where they rest when the shaking is done. Look how they wrinkle. Curve. Cross. Explode into stars. With watered ink instead of sand. With egg white. With bits of rust. With gold dust, if you are rich. With quicksilver, if you dare. It’s Chladni’s experiment. Music to the eyes. Frequencies you can see. 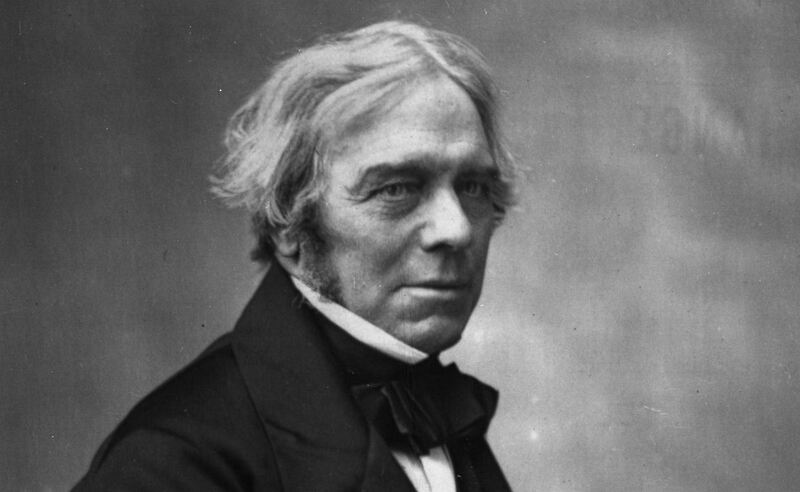 Faraday tries it too, for five months in 1831—can’t stop the quaking till he knows how it works. Why nothing ever shelters in the stillest places. Why it heads straight into the midst of the shaking. Faraday walks from his basement laboratory to the pulpitless chapel at the alley’s end. Hears we will not fear. Though the mountains be carried into the midst of the sea. In his small earthquakes, there was no fear. But even in those five months, words and facts and names rattled off the ledge of his mind. He was not yet forty. Rebecca Tirrell Talbot lives in Chicago and graduated with an MFA from Roosevelt University.